This Is Moving: Washington D.C.
July 11th, 2013 | Around The U.S..
A city steeped in history, Washington D.C. is a bustling capital city of over 600,000. We know this city for its museums, politicians and the most famous dwelling in American history: The White House. For history-buffs around the world, it’s a no-brainer to visit D.C., but what about those who are thinking about moving to America’s Capital City? Read on as we highlight (with the help of the Official Tourism site of Washington D.C.) some unique aspects of the city and give you information on Washington D.C. moving companies to help you get there. According to Washington.org, The Official Tourism Site of Washington D.C. “there are more than 100 restaurants located in downtown Washington D.C. alone, not including fast food, delis and take out.” Whew. Talk about a lot of choices! We’ve whittled down the options to our two favorite international-based restaurants in the District of Columbia. Don’t even think about missing these on your visit or upon your move! v Falafel: Well, the name of the restaurant pretty much describes its most popular dish. You can get falafel served in burger form, on top of a salad, in a pita, or served via their signature Shawarma. Any way you get your falafel, you’re sure to be happy with it. Bonus? There’s a free salad bar full of toppings! Tosca: The thought of Italian food induces my salivary glands to drool without concern for my public surroundings. I’m constantly on the lookout for the best Italian restaurants no matter where I am. This place is upscale and great for a night on the town. Looking to stray away from the standard spaghetti and meatballs? Try their carrot flavored pappardelle with rabbit ragu! Off the Beaten Path: Attractions in D.C.
visit the neighborhood farmer’s market on Sunday for some of the most delicious, fresh and local produce D.C. has to offer. Theodore Roosevelt Island: If outdoor adventure activities are more your cup of tea, then travel the short distance to the Theodore Roosevelt Island Park. With offerings such as canoeing and kayaking down the historic Potomac River, running and walking trails and ranger-led programs, you might forget that you’re only minutes from the nation’s capital. 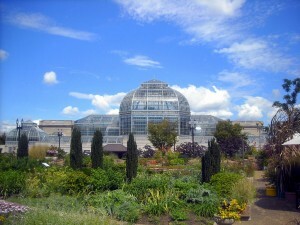 United States Botanic Garden: You can’t be in Washington D.C. and not visit a museum. That’s a cardinal sin, right? Visit this unique museum for a chance to see the National Garden, the First Ladies Water Garden and the Rose Garden, just to name a few of the beautiful and fragrant stops along the way. The admission is free, so feel free to visit as often as possible. Have we convinced you that Washington D.C. is a great place to relocate? 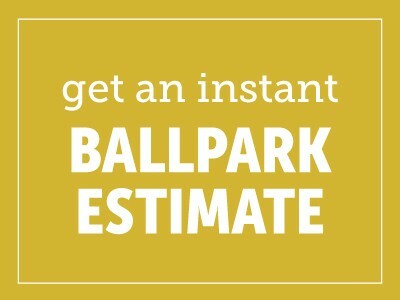 If so, we’ve provided three moving companies within 100 miles of the Capital who will gladly assist in your relocation. Washington D.C. Moving Company 1: Bekins A-1 Movers, Inc. in Woodbridge, Va.
Washington D.C. Moving Company 2: Childs Express, Inc. in Baltimore, Md. Washington D.C. Moving Company 4: Ace Moving & Storage Corp. in Carlisle, Pa.
Did we feature your favorite parts of Washington D.C.? Did we miss something? Let us know! Leave us a comment, Tweet us, or post a comment on our Facebook page. Stay on the road with us as we venture to a new destination next week.